As the first day of our inaugural school year approaches, we're thrilled to unveil to you the team that will make up the founding faculty & staff of BASIS Independent Fremont. Many thanks to all who have participated in our numerous hiring events that have led to the hiring of such a talented group of professionals. We're pleased that you took part in such a crucial process of the establishing of our cohesive school community. 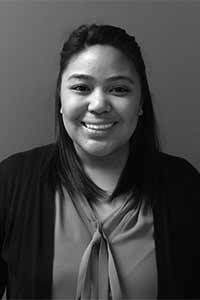 We're pleased to introduce to you Danielle Ramirez, Admissions Coordinator at BASIS Independent Fremont. In 2011, Ms. Ramirez earned her Associate of Arts degree in Human Development from Ohlone College in Fremont, CA. She then went on to earn her Bachelor of Arts degree in Psychology in 2013 from San Jose State University. As an Admissions Coordinator, Ms. Ramirez is excited to utilize her customer service experience, along with her strong, interpersonal and organizational skills to provide support to the admissions team as well as the families of BASIS Independent Fremont. “It is imperative to be a strong asset to our new school by assisting the team in enrolling students who have a passion for learning," says Ms. Ramirez. Ms. Ramirez chose BASIS Independent Fremont because she wanted to be a part of a team that is changing the way students are learning and growing in the educational system. “I have always had a passion for working closely with residents within my community so I felt there was no better way to serve the community than to provide support for its students. I really took an interest in BASIS Independent Fremont and how it is redefining education to better the students' future and career path because I have always valued a strong education. I like that we take education seriously but also provide a fun and creative learning environment for the students,” says Ms. Ramirez. When she is not at work, she loves spending time with her family and spending quality time outdoors. She and her husband are avid travelers and have travelled to the Southern Caribbean, Puerto Rico, Costa Rica, Nicaragua, and Norway. Be sure to subscribe for updates to Eureka! Fremont to receive faculty & staff announcements (and much, much more!) directly in your inbox. We host many opportunities for you to meet our founding Faculty & Staff. Check out our events page to register for upcoming events.